Elmer's Galaxy Slime Starter Kit. Easy-to-follow Recipe! 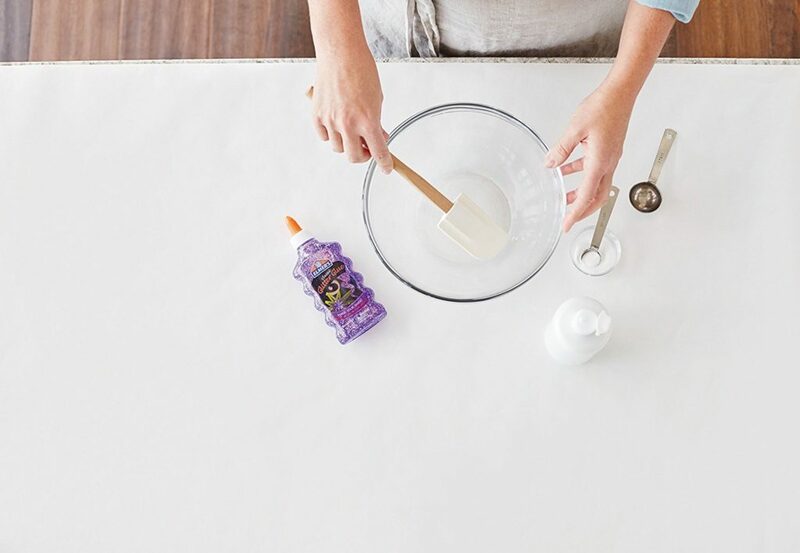 Experience the thrill of making out of this world slime with safe, nontoxic and washable Elmer’s glitter glue. Loaded with three bottles of dazzling glitter glue, the Elmer’s Galaxy slime starter pack takes your slime making experience to a whole new dimension! This Elmer’s glitter glue kit works as regular school glue for various school projects. However, this glue can also be used to make “galaxy” slime. Making slime is a fun and simple activity for parents and kids to do together. Like other Elmer’s adhesive products, this 3 piece kit of Elmer’s glue is nontoxic and washable. Users can follow the simple recipe to make three separate colorful and glittery batches of slime or combine it all together to achieve the “galaxy” slime look. Either way, users can spend hours squeezing, squishing and creating unique art with their slime. Amazon users really enjoy this product giving it 4.5 out of 5 stars with over 2,200 reviews. Scotch Kitty Dispenser with Scotch Magic Tape. Add A Personal Touch To Your Workstation! Next story Umbra Trigon Metal Bulletin Board, White. Great Functional Design for Home or Office Use. Previous story Moodycards – Over 30 Different Mood and Practical Flip-Over Messages. Fun Gift for Co-workers and Friends in the Office.